Welcome to my Gray Hair Resources page! 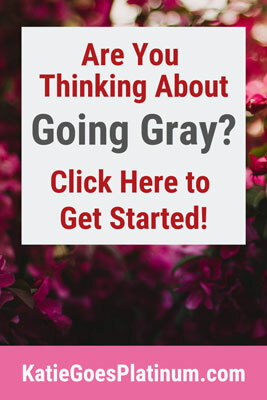 When I first started my gray hair transition, I was a little lost, so I built this resource page to help others “find their way” during their transition (and after!). Joli Campbell has a wonderful blog for silver sisters. Her straightforward attitude about gray hair is refreshing and inspirational. Joli also has her own shop where she sells all-natural products formulated specifically for silver hair (although they can be used on all hair types). Her QuickSilverHair Clay really brightened up my silver roots and I use her QuickSilverHair Oil to tame my flyaway grays. Nikol Johnson shares great makeup and skincare tips on her awesome YouTube channel. She also has a website called Beauty Reinvented, where she shares other silver sisters’ stories and makeup and skincare tips for women over 40. Nikol’s Facebook group is a wonderfully supportive place as well! She owns a makeup shop called Fresh Beauty Studio that has simply gorgeous lipstick shades, among other things. Lauren of How Bourgeois embraced her gray in her 30s and I’m so glad she did – her hair is stunning! She has a great blog with lots of gray hair tips, and she also just started her own line of gray hair care products. Erica Henry Johnston also embraced her gray hair at a young age. She has great videos about her silver transition and offers makeup, fitness and hairstyle tutorials. Debbie Roes’ blog is about leading a fulfilling life and finding peace and happiness. She started going gray in 2016 and she has some excellent insights into the process. Grombre features women of all ages and races on this IG feed, and their images and words will inspire you. Embrace the Grey is another wonderful IG feed that posts lovely images of silver sisters at all stages of their transition. 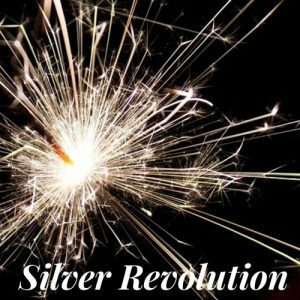 Jonie founded Silver Revolution, and I was so excited when she asked me to be an Admin! There is a lot of support to be found here, ladies. 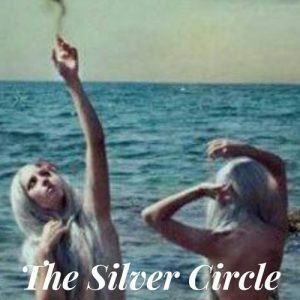 I can’t begin to tell you how many great women I have met in The Silver Circle. It’s a terrific group, as well! Check out my International Gray-Friendly Salon Directory! Do you have any suggestions for this Resources Page? Please contact me and let me know- thanks!